All these omissions are an embarrassment for what is otherwise a very good Windows 10 update. Microsoft sold us that vision as part of the Creators Update launch last fall. But somewhere between then and the Creators Update rollout announcement April 29, key pieces went missing. Microsoft previously said that its My People experience would be left for the “Redstone 3” update in the fall. The company never warned us, however, that we wouldn't see the Windows Capture app, which creates 3D objects simply by tapping your smartphone. If there’s a way to share 3D objects within the Holotour app within the HoloLens, I haven’t seen it. And, of course, neither the HoloLens nor the third-party mixed-reality devices are commercially available yet. The ironic thing about the Windows 10 Creators Update is that, even lacking all that, it’s arguably the most significant update since the launch of Windows 10. Those features that made it into the shipping code, including game streaming, e-reading, Game Mode, Beam streaming, Game Mode, and dozens more, collectively elevate the Creators Update. 3D content capture with Windows Capture 3D looks so easy. 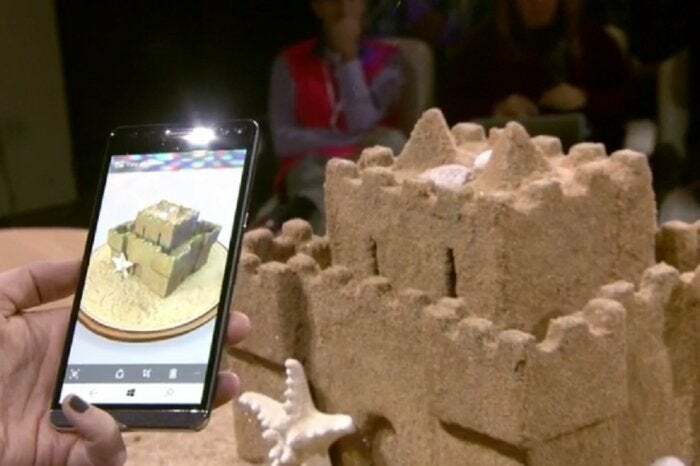 Saunders then whipped out an HP Elite x3 Windows phone, launched what she called the Windows Capture 3D experience, and walked around a small model of a sand castle as the app seemingly constructed the 3D model, live, on her phone, in seconds. Voila: real-world object, Microsoft app, 3D construct. Cue the applause. Watch the video for yourself to see how simple Saunders made it look. Tell me that app doesn’t look ready to ship, especially as she seemingly uses it live on stage. But no, it’s not available. Was Saunders’ performance sleight of hand? A movie? 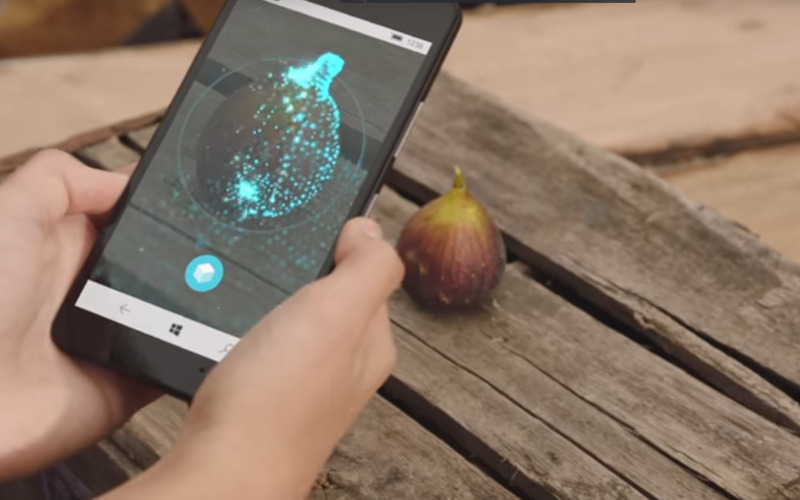 Did Microsoft hold back Capture 3D until it could be ready on Android and iOS as well? Microsoft hasn’t said. What makes that statement so important is that, Paint 3D aside, scanning real-world objects into Windows is almost ludicrously difficult. (Unless you're using an HP Sprout.) 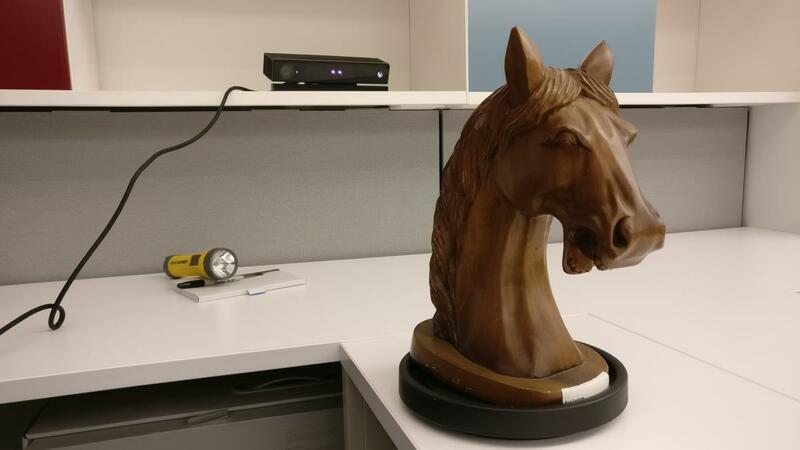 You’ll need Microsoft’s 3D Scan app, a PC with a decent GPU, a Kinect depth camera, a massive adapter, some sort of rotating table, a tutorial, and a great deal of patience. I spent several hours, muttering and cursing, and got something that looked like a flying saucer taking a dump. Brian Posey, a Microsoft MVP, tried out 3D Scan for Redmond Magazine and gave up halfway through. ...And all I ended up with is this mess. It goes on from there. As part of the launch event, Microsoft’s Heather Alekson introduced the ability to import 3D objects into PowerPoint and other Office apps. To date, that feature isn’t available either in Office or in the Office Insider program. 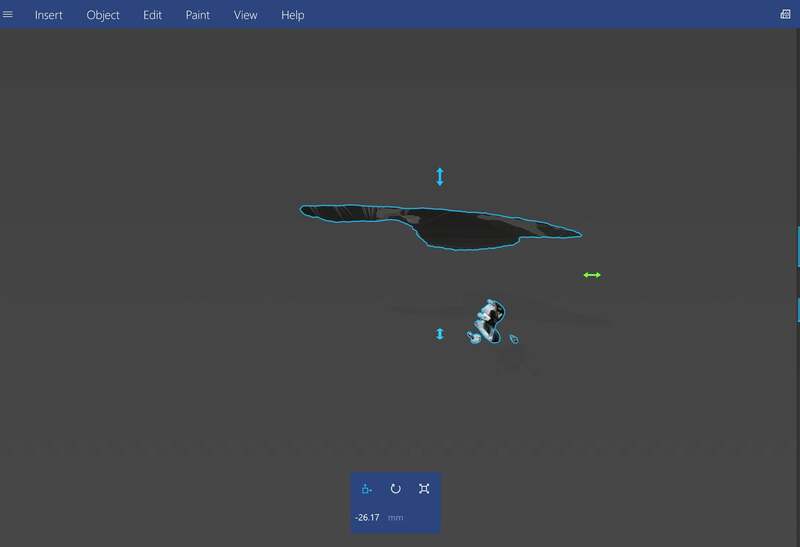 Paint 3D within the HoloLens? Importing 3D objects into the virtual space? Neither, apparently, is here. Microsoft tells me that “Windows Mixed Reality [formerly known as Windows Holographic] will be available on Windows 10 PCs with the Creators Update so that developers can start creating content,” implying that regular users will have to wait for access. We can’t ignore the lack of mixed-reality devices, either. Yes, the responsibility for delivering mixed-reality devices on time for the launch of the Windows Creators Update falls on hardware partners like Acer, Asus, and Dell. (Did Microsoft’s Terry Myerson promise mixed-reality devices by the Creators Update launch? Decide for yourself.) But Microsoft has developed its own hardware for years, and has a tight working relationship with each of these vendors. 3D-capable, mixed-reality hardware was part of Microsoft’s 3D vision, and it hasn’t been delivered. The gaping holes in Microsoft’s 3D vision overshadow everything else Microsoft promised last fall. But a number of other features Microsoft promised for the Creators Update haven’t appeared, either. Microsoft already quietly announced that it’s postponing the My People experience. 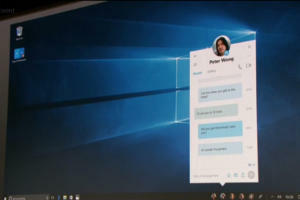 My People, which sounds like it might be either replacing or supplementing the existing People app within Windows 10, will allow you to pick five close friends or family members and customize your experiences around them—putting icons in the taskbar, auto-suggesting them as email contacts and to chat, and allowing them to send you emoji via what Microsoft calls “shoulder taps”. My People: a casulaty of the Microsoft development process. Microsoft, though, plans to hold My People for “the next major update to Windows,” which is due out in the fall. One of the features Microsoft showed off in the Xbox gaming space (which has its own Creators Update rolling out now) was Arenas, player-configured tournaments. “The Xbox team is still working hard to bring custom gamer-created Arena tournaments to the Xbox community, though it will not be releasing alongside the Windows 10 Creators Update,” Microsoft said in a statement. Though it was never officially announced, the Groove Music mixer app appeared in a “sizzle reel” of other Windows 10 CU features at the launch itself, as well as Microsoft’s general Windows 10 Creators Update video. I haven’t seen it in the Windows 10 CU itself, nor the Microsoft Store. 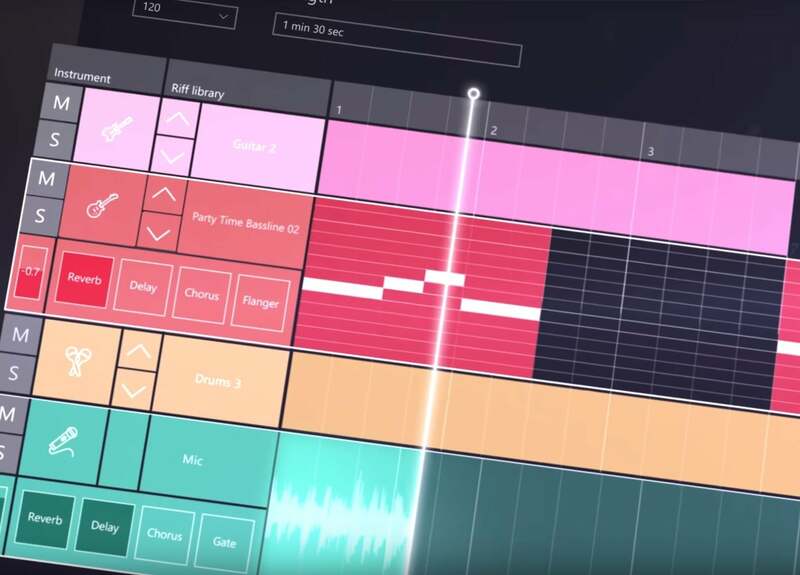 Microsoft representatives said that they had “nothing to share” about the fate of Groove Music Maker. One of the smart features that Microsoft added early to the Windows 10 CU was the ability to tie an Edge tab to a Cortana reminder, a handy jumping-off point to research a wedding cake, explore potential campgrounds, or dig through tax regulations. In November, though, the company said it cancelled it. I should have noticed that the feature is indeed there. You can't "save" an Edge tab to a reminder, but you can "share" it. For any tab, go up to the "share" icon to the upper right, and click it. You can then save the tab as a reminder within Cortana. I’m aware that companies over-promise and under-deliver, delay products and cancel commitments. Sometimes they just slide into a niche and never recover. You know these names: Half-Life 3, Duke Nukem Forever, HD DVD, StrongARM, the Itanium chip. Market demands change. Simply excluding My People or Capture 3D or Arenas from the Creators Update certainly doesn’t mean that we’ll never see them again. I’m betting we'll hear much more about mixed reality in a month or so at Build, as a run-up to Windows’ next major update this fall. I said it in my review and I’ll say it again, though: I’d call the next “Redstone 3” release the “Windows 10 Creators Update 2.” It’s a mouthful, but it’s also an important way for Microsoft to save face. Correction: This story was updated on April 19 to note that the "save tabs as reminder" feature in Edge is indeed present in the Creators Update.